Always let's me know when she arrives. How's.over the outside traps and lets me know is activity. She is awesome. Didn't see the lady one that was here. But Deb always advises. Debbie is an excellent tech! Wouldn’t want anyone else to service my home!!! Your Inspector Sandy Spencer makes all the difference between just satisfied and pleased. Great support staff in office. Always on time and professional. The one time we had ants inside the house it was taken care of quickly. Great service wonderful costumer service. Very satisfied with their prompt, courteous service. Joe, the technician they sent was very friendly and knowledgeable. Great customer service! They are currently taking care of our pest control needs for an 18 acre property, and so far so good!! We are very satisfied. All the employees are respectful and prompt. We switched a few months ago and we are thrilled that we did. We also like that we get a phone warning at least 2 days before each visit. Very good service and reliable. Thorough job; tech was friendly and informative, prompt and efficient. We are very happy with your services and want to thank you. Great company. On time and good work. Very polite and efficient. The best! The home pest control is excellent. I'm still waiting to see results on the lawn and shrub services. Our condo association has used Home Paramount for regular spray prevention fro several years. They were also used for rodent intrusion in one of our buildings. They promptly responded to our call for review, and a plan for mitigation was quickly and efficiently put into place. Their personnel were all professional, knowledgeable and courteous at each step. The price of their charges were very fair. We will continue to use them for any similar situations in the future, and we would recommend their services to anybody. Super satisfied w/service & attention to customer's concerns.Highly recommend 😎. Great service and you fellow dirctions. We had excellent response anytime we needed work done. We were very pleased with the service. Hello - I get paid the 3rd Wednesday of every month as I'm on SSDI due to a disability. You work around when I get paid. Debbie is here the 3rd Wednesday of every month and she is fantastic. I couldn't ask for more. Please give Debbie a great review as she is the best. I live in Port Saint Lucie, Florida and I believe the Stuart office schedules the appointment. Thanks for the opportunity to rave about Debbie. Since having paramount come every 3 months I have no ant problems. My technician Debbie Finley is very thorough and a pleasure to deal with. Paramount is a good value for the dollar. Since changing to Paramount, our pest problem has been eliminated. Our tech, Alex, I think, was friendly and polite..answered all questions..
Debbie Finney is our tech. She is the best. She is very through... she will spray the inside of my home and the outside. Always wears booties on her shoes when doing the interior. Deb shows up rain or shine and is always in a very pleasant mood. Don't know what I would do without her. She is a major asset to your firm. The tech's are amazing, professional and always polite. 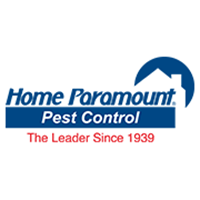 I have been a customer of Home Paramount for more than eighteen years in Maryland. I renewed my contract with Home Paramount when I moved to Florida. Their service is always excellent and if I am not satisfied I can call them back without any fuss or problems. The representatives are always polite and pleasant. It is such a pleasure doing business with Home Paramount. So far we're very happy. Techs are really nice and thorough. Always on time. Would be convenient if you can send the invoice by email so I can pay it online. I will continue the termite treatment but since the expired date is 30 July I prefer to pay it a week before, not two months in advance. Just invoice me. Service people were happy to answer my questions and were very informative. I have purchased a second home and need to have you out. Please forward my contact number so I can make an appointment. Thx. Pleased with service. Timely and efficient.